We have been thinking about our individual hot tea brewing methods at the caffe. After lots of thinking and researching, we got these coolest-ever tea mugs. It allows our top quality full tealeaves and botanicals to fully unfurl and steep, and you can totally see the beautiful leaves and herbs in your cup while they are steeping! We love it! Come and try your favorite teas in one of these super cool tea mugs. 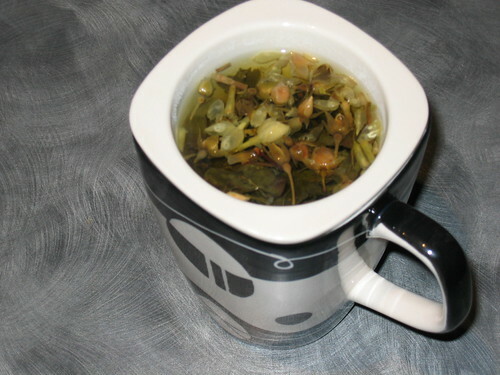 Look at the beautiful Oolong tealeaves, flowers, and other citrous fruits in the Citron Oolong!